Smart watches vs. Smart bands. Which one to choose for your requirements? When it comes to wearables, the first two things that come to our mind are smart bands and smartwatches. When they are available in different colors and designs, it can sometimes be difficult to find the most appropriate one for yourself. Both has its special abilities and some similarities. So before you pay your hard earned money to a company for a wearable, why not know some worth knowing things about them, and do not regret later. 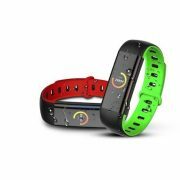 Both smart bands and smartwatches are pretty popular among the young generation nowadays, who want to monitor their health on a real-time basis after every act of their lives. Before proceeding further I must say, there are numerous wearables today, which might be better than smart bands, and are pretty close to smartwatches. Well, I am not saying smartbands are bad, but each of them has their own functionalities to offer. So the thing can be other way around, as well. Thus, if you really have the money for a wearable, I will recommend you to go for the one that is best within your budget, lest you need the extra features at some point of your life. Sometimes you might need to compromise one for the other, maybe because the one which lacks features might give you a good service, or an overall better package. Let’s start the comparison with talking about, what exactly are smartbands. Smartbands are those wearables, which, in most cases resemble the shape of a bracelet or so, and track your movements and activities through different sensors to show you some relevant information about your life and fitness. Budget smartbands come with a display to show you some useful information directly on the screen without the need to pull out the smartphone from your pocket to check them. But smartbands do not necessarily need a display, and the Mi Band 1 was a smartband, which didn’t feature any display. Talking about smartwatches, they look like regular watches and has a display which, as well look similar to an analog or a digital watch, and you can switch between the two, depending upon which suits you fancy. Apart for being just a watch, it also has some special abilities like showing you some recent notifications, the ability to open some apps for some quick tasks and many more. Some decent smartwatches also have some health tracking features like the ability to track sleep, steps, heart rate and many more. But that isn’t much practical in case of a smartwatch for some reasons, which I will be discussing here. So that was what smartbands and smartwatches are, in a nutshell. That wasn’t a formal definition, but hope you can understand their basic differences. Now let me elaborate each of them. No doubt that is the first thing, which most people look for, before purchasing something. When it comes to features, there are a lot of differences between them. As I already said, smartbands track the fitness and health of the person wearing it, from time to time. Most smartbands typically have a pedometer, heart rate sensor, sleep tracker and many others, depending upon the price and model. Typical smartbands do not come with additional features like, the ability to make a call, respond to notifications, camera functionalities, etc. But, depending upon the model, you can surely do some basic tasks like reading notifications, play or pause music, on the smartphone, it is paired with, etc. All the information collected by your smartband can be visible on the smartphone paired with it, and even on the smartband itself if it comes with a screen. On the other hand, the smartwatches with bright and colorful displays can act as a tiny wearable smartphone. No, not a complete smartphone, but it offers some smartphone functionalities.like, the ability to reply to messages, the ability to make calls, calculator, organizer and calendar, download and open apps, and many other features altogether. There are even a handful of smartwatches, also known as watch phones also offer mobile connectivity and you can make calls, and access the internet by inserting a SIM within it. Needless to say, you can even do some other tasks like stream music and video, play locally stored songs, etc. But how good those will work, obviously depend upon the brand, and the amount you are paying for the functionalities. Smartwatches also have fitness and health tracking features like a pedometer, sleep tracker, and many others. Thus, smartwatches apparently have more features if compared to that of smartbands, but most smartwatch features can be half boiled due to some other factors, which I will be discussing one by one. But there are even some smartwatches which are kind of hybrid and they can act as both a smartwatch and a smartband. Look at the Apple Watch 3, Gear S3, etc. Though they belong to the higher price segment, such kind of products actually exist. Thus, generally speaking, there are differences between smartwatches and smartbands, but it is equally difficult to draw a clear line of difference between smartwatches and smartbands if all the single models are taken into consideration. Smartbands are optimized in a way to show you the health and fitness stats in the best possible way and track all your activities. Being a wearable product, smartbands are also supposed to be worn while you are swimming, taking a bath, or is playing some water sport. That being said, smartbands are water resistant and come with an IP rating so that you do not need to keep it aside, while you are doing your activities underwater or so. 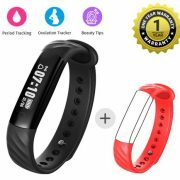 Though there are some smartbands, which are just splash resistant, such kind of products are not that popular among the customers, and I myself will recommend you to break such a deal if you come across one. 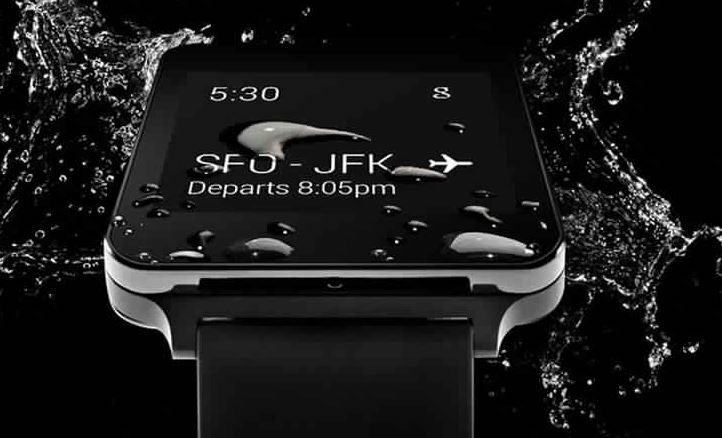 Looking at smartwatches, they are water resistant, as well in many cases, but are not as good as the smartbands. By looking at the build quality of the smartbands, you can notice, they come with silicone or rubber straps, which can’t be ruined easily by water. But smartwatches come in a plethora of designs. Some might even have leather straps, and needless to say, they can’t withstand water the way, silicone or rubber straps can. But there are even some very cheap smartwatches, which are not at all water resistant. Yes, reality can be harsh sometimes. Well, this can be something, which can change your decision from purchasing a smartwatch to a smartband. Battery capacity or battery life is something, which most people pay importance to before purchasing any electronic gadget nowadays. 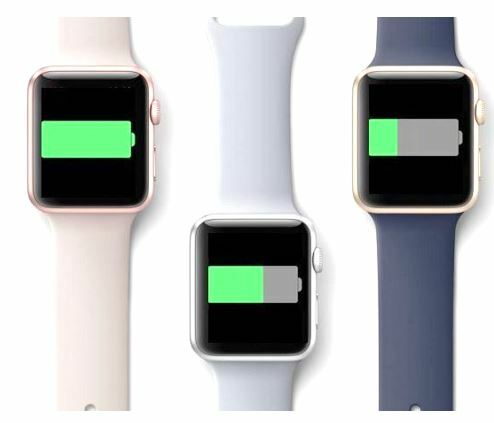 When it comes to battery life, smartbands is the winner as they can give you a really long battery life from around 4 days to even 30 days or one month. 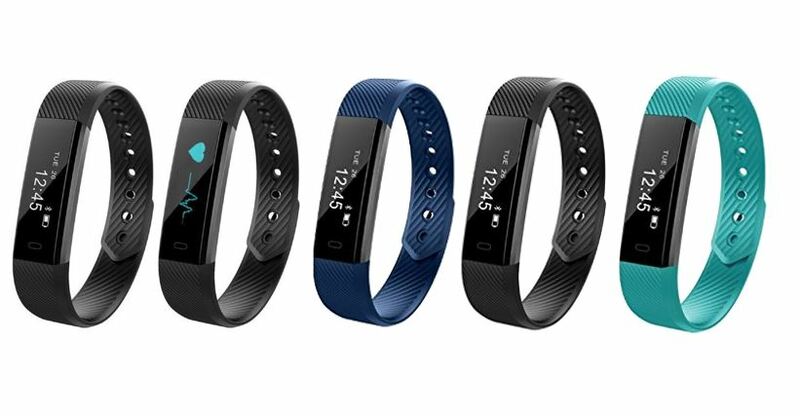 Though that might be reduced depending upon the features a smartband offer, or the number of features and sensors that are turned on at a time. But the overall battery life of smartbands is pretty impressive. But on the other hand, smartwatches offer a battery backup, which can hardly match the battery backup, a smartband has to offer. The average battery backup will be 1 day, and if it something more than that, it will be around 2 days or so. So when it comes to smartwatches, the battery backup is really disappointing, to say the least. 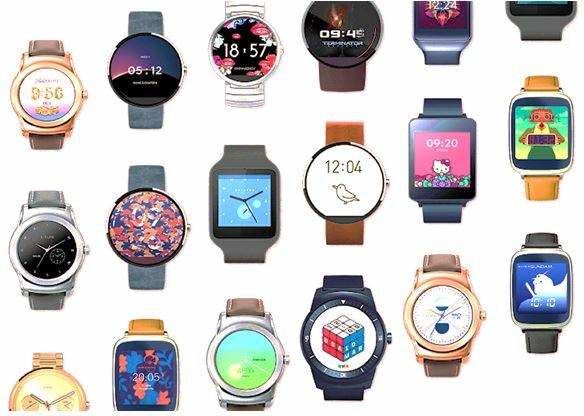 Smartwatches come with comparatively powerful SoCs and have some special feature making the battery life very less on such devices. So, if you have taken your decision to purchase a smartwatch, and it supports sleep tracking, you can never actually use it, as you will have to put it on charge at the end of the day. That’s what most people will generally do. Talking about the performance, smartwatches are more a fancy than something really important. No, I am not saying they are bad. But most smartwatches, which are advertised to make calls on the go, and say, they have the ability to send text messages, or respond to notifications, are quite half-boiled. For example, if you want to send a reply to an SMS, you can dictate it. But do not expect an extraordinary performance while doing that. It will not be comfortable to dictate long sentences, as that will lead to errors. The experience of making and receiving calls won’t be mind-blowing either. But not all smartwatches are bad. There are some smartwatches, which offer a decent battery backup, offer some smart functionalities, and offer health tracking features. So, such products can give you the best of both worlds. Talking about smart bands, the performance of smartbands are quite good, if maintaining a good health is the apple of your eye. 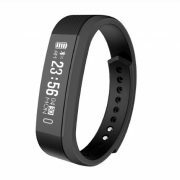 Depending on a specific model, the information can be inaccurate at times, but most smartbands, which come from decent manufacturers won’t disappoint you, I would say. Smart brands do not come with other additional features, like the ability to make calls, respond to notifications, and similar other things. As there isn’t a lot of things to expect from smartbands, and there aren’t a lot of promises from the manufacturer, you can expect decent health tracking features from a smartband. Now let me wrap things up! Which one should you go for? Hopefully, you have already made your decisions so far! If not, let me help you out a bit. Just in case you want to look fancy, and want to carry out some basic tasks directly from your wrist without pulling out that long slim smartphone from your pocket, you can go for smartwatches. And well, if you want to look a little futuristic. The prices of smartbands tend to be little higher, but you can even get some smartwatches or watch phones at prices less than Rs. 1,000 or so. But I will not recommend them unless you are having a really tight budget, and agree with not getting a good service, and suffer from the cons of a smartwatch altogether. Smartband is always a great choice for most users, as that is pretty practical. It has sensors to track your health, and you can get the information on the big screen of a smartphone. Being a wearable, you do not need to charge them every single day, which is yet another reason, I will recommend you to go for a smartband if you are looking for a smart wearable. 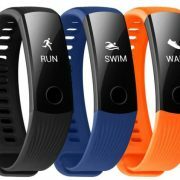 Smartbands available at affordable prices also have good accuracy, which is yet another reason I will recommend you to go for a smartband instead of a smartwatch under the same budget. Just in case you need a little more, hybrid wearables are already available. But such products tend to be costlier. So that was it. Hope the comparison was helpful for. Do you need to say any more differences between them? Feel free to comment it down below and let me know.